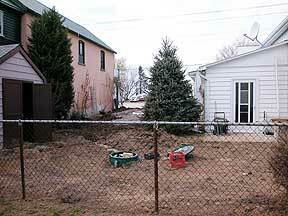 An Aquarobic system can be used for multiple buildings on the same lot. 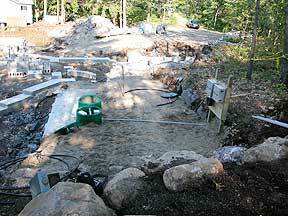 The discharge area can be installed anywhere, as the plants have their own pumps. 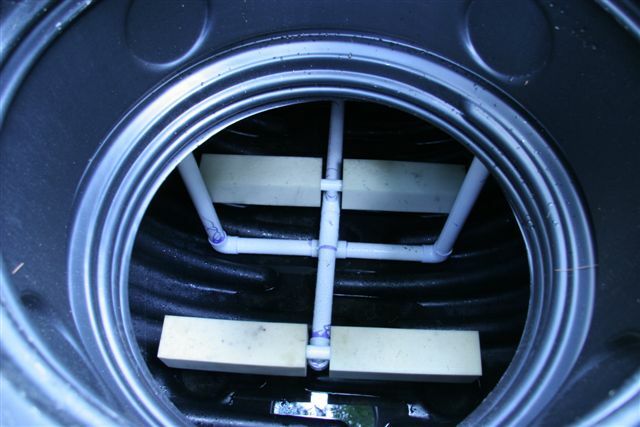 An Aquarobic system can reduce the required filter bed area up to half the size of a conventional septic system. 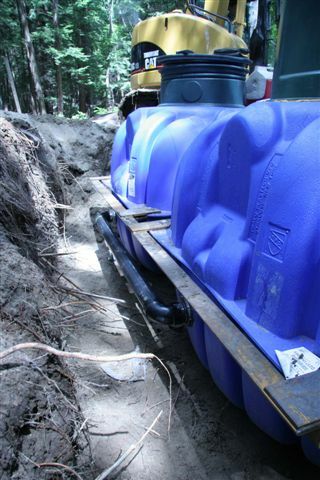 For difficult sites and remote access, the Mini-Plant and our fiberglass tank is ideal because the system can be transported easily and does not require a large excavation to be installed. Mini-Plant’s and Maxi-Plant’s are also ideally suited for retrofits in repairing or replacing failed systems, or increasing designed flow requirements. 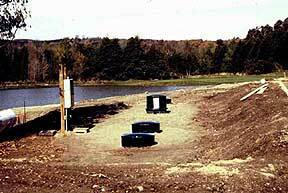 Maxi-Plant’s have been used as treatment plants for Parks, Camps, Golf Course & Recreational Clubs, Restaurants & other commercial facilities (i.e., shopping centres, motels), Small Communities, Resort Hotels, Condominiums, Schools, and Service Centres. 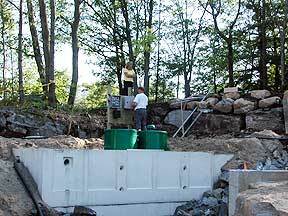 The above is a MicroMini-28 installation for a cottage that required 2,700 litres a day processing capacity. 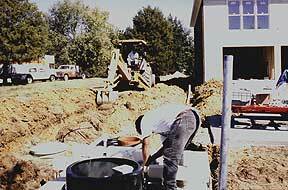 The system was installed on a 1,840 gallon single chamber concrete tank, and discharges to a 27 sq. 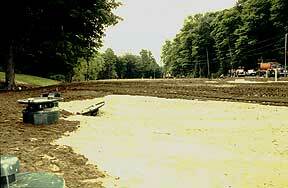 m. filter bed. 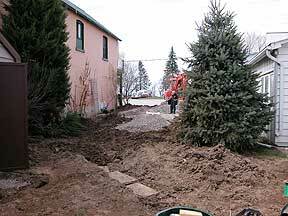 This is a Mini-Plant installation for a seasonal residence. 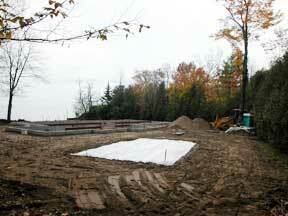 The total daily flow for the new residence and boathouse was calculated at 5,400 Litres/Day. 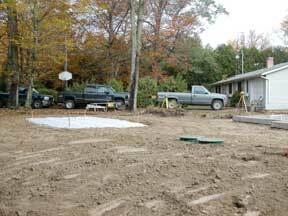 Aquarobic balanced the calculated flow for the seasonal residence down to 4,000 Litres/Day using the formula’s provided in the Building Code. We installed a MiniPlant-70 on a 4,000 gallon concrete processing tank and discharged 4,000 litres a day to a 1,500 gallon balancing (dosing) tank. The balancing tank dosed 167 litres of effluent every hour into a 40 sq. 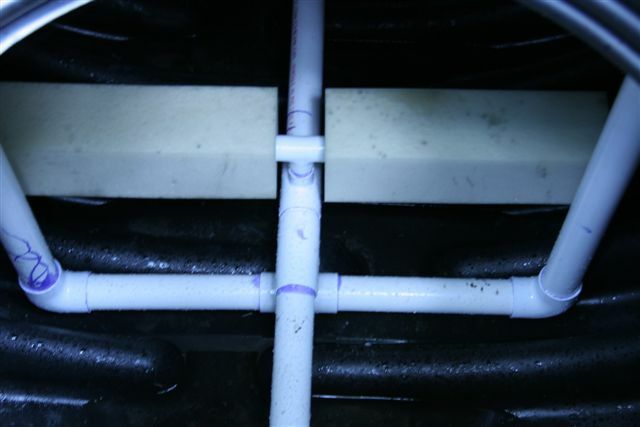 m. filter bed. In this situation, the Mini-Plant and processing tank were sized large enough to retain the original calculated flow and disperse it over the week. 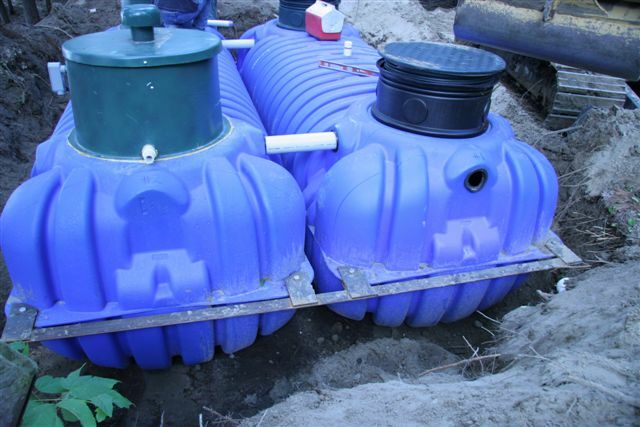 The above is a Mini-Plant installation for 1,600 litres per day designed flow, replacing a failed older system. 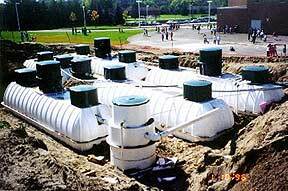 The plant was installed on a 1,000 gal single chamber concrete tank and a 6 ft x 28 ft filter bed was constructed between the 2 buildings. These pictures are Mini-Plant’s that were installed at residences requiring an increase in designed flow rates due to additions. 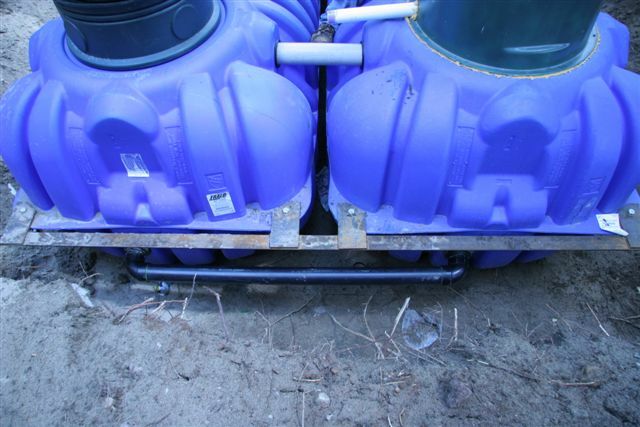 The systems were installed and connected into the existing discharge areas. 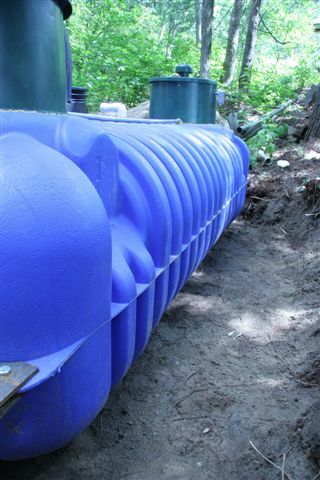 The above is a Maxi-Plant Denitrification System in Aquarobic fiberglass tanks installed at a school in Ontario. It processes 16,000 litres a day. 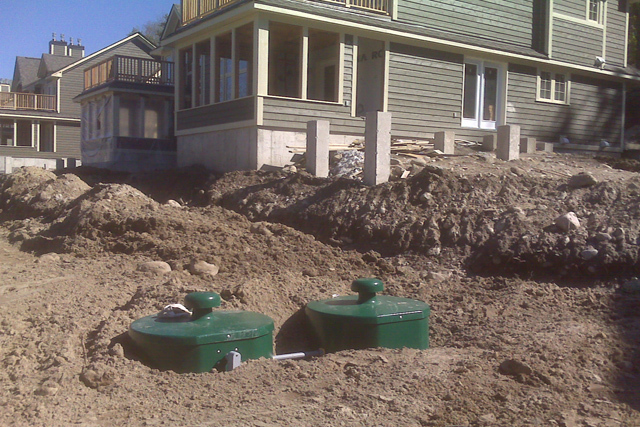 This is a Maxi-Plant installation at an Ontario resort. The system processes up to 140,000 litres a day. 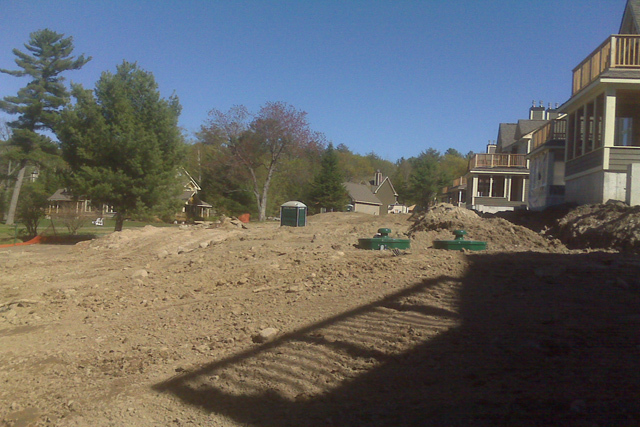 The above is an installation of a Maxi-Plant for a resort and condominium complex in Ontario. The system is designed to process 55,000 litres a day.